To date, when no SMTP server was configured for a specific Dynatrace Managed cluster, Mission Control was used as a fallback for sending emails related to important events in your environment. With this approach, you could remain informed even if you overlooked SMTP configuration. The downside was that you couldn’t disable the sending of these email notifications to prevent data from leaving data centers, and more importantly, retain complete control of your data. You now have complete control over the sending of email notifications. Within your Cluster Management Console (CMC), go to Settings > Email > SMTP server and select the email configuration that’s most suitable for your setup. SMTP server—No emails are sent by Mission Control when SMTP configuration is missing or erroneous. Mission Control—Allows you to send notifications without providing a custom mail server. If you choose to send email via Mission Control, you’ll find a note and link to SMTP configuration in the privacy settings at Settings > Preferences. This feature has been back-ported and is available to all clusters on Dynatrace Managed version 1.162 or later. Especially in large deployments, you may require that some nodes only serve UI traffic and not process OneAgent data or vice versa. By making OneAgent and UI traffic configurable, we allow for higher stability, better cache behavior, and faster UI response times. In the UI you still have the possibility to set a server node into forsaken mode. In the Home screen click on the corresponding node and you will find the Disable OneAgent traffic button on the node details page as illustrated below. 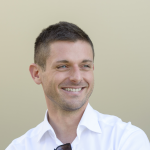 Dedicated enabling and disabling of a node’s agent traffic role via a separate flag in the REST API will be implemented in a subsequent release. When you go to the details view of one of your cluster environments, you’ll see that we split DEM unit consumption not only by User sessions and Synthetic monitors, but also by total user session DEM units consumption versus sessions that include Session Replay (see below). This allows you to keep track of how much each service contributes to your overall DEM quota. As also shown above, you will be able to switch off Session replay consumption on a per-environment basis starting with version 166. In the current release this toggle is disabled. We have improved the generation of support archives in the way that you can specify their content so you have full control of package size and which logs you are interested in. It is also done asynchronously so you do not run into timeouts when preparing the package is time-consuming. You can reach the Support archive screen via the “Download support archive” button in CMC’s Home view as shown above. The download screen allows you to specify the types of log files to be included in the download package. You can also select the time period for which you like to receive the logs and from which components: cluster node only, ActiveGate only, or both. Removed disk space alerts for Session replay when Session replay is inactive. If SSO is enabled and group assignment is off, we now still allow for adding and editing users. We removed an LDAP bug where existing groups weren’t found and warnings were shown in the error logs. Special characters weren’t accepted when users were added via API. We removed confusing Elasticsearch error messages that were generated when nodes joined the cluster. The cluster message about expired certificates has been corrected. 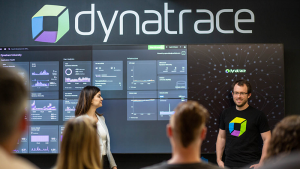 Additionally, all new features introduced with Dynatrace SaaS version 1.163 and version 1.164 are now also supported by Dynatrace Managed.